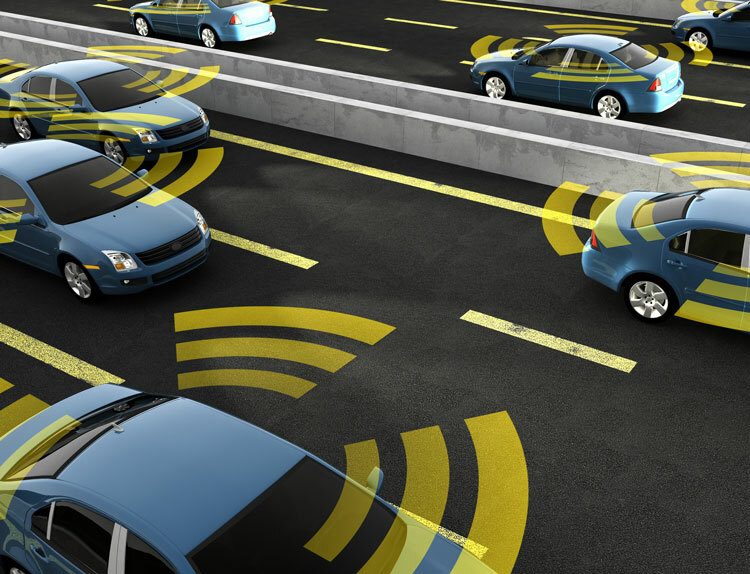 Research on autonomous vehicles is leading to new technological advancements in sensing accuracy and driving capabilities, but with vehicle improvements comes an increased cost. Self-driving cars can run upwards of $300,000, which is over 10 times the amount most Americans can afford to spend on a new vehicle. Fortunately, engineers are in the process of searching for methods to reduce the cost of the materials used to manufacture self-driving cars, which may then transfer to consumers. Most autonomous vehicles use LiDAR technology to detect objects. LiDAR gives a self-driving car the capability to develop 360-degree images of the objects it encounters and provides the best chance of avoiding a potential collision. Although LiDAR is the most accurate technology available, it’s also the most expensive. Additionally, LiDAR doesn’t perform well in poor weather conditions, which can reduce overall vehicle safety. Several companies are working to lower the cost of self-driving cars through the use of radar. Radar is less expensive compared to LiDAR and can also detect objects, though not to the same level of accuracy as LiDAR. Radar is a more established technology that works effectively in all weather conditions. New technological advancements are showing promise in reducing the price of radar. To achieve this, manufacturers are combining processes onto improved chipsets developed with more efficient semiconductors. Electroless nickel-plated semiconductors provide an even, corrosion-resistant surface and lower overall operating costs due to their superior quality. The chemical process used to develop electroless nickel-plated semiconductors also makes it easier to cover complex shapes. Electroless nickel plating works more efficiently than vacuum deposition technology and is less expensive to produce. During the manufacturing process, less waste is generated and a more consistent product is developed overall, which translates better to larger-scale manufacturing processes. Developers are also working toward creating more affordable, efficient versions of LiDAR sensors. Solid-state LiDAR sensors are still in the early developmental stages, though they are significantly cheaper to build compared to their traditional counterparts. These sensors are smaller and will integrate more seamlessly into a car’s design, offering a more aesthetically appealing view while still providing functionality. Two versions of the solid-state sensor are currently being developed — the surround view and the fixed version. The fixed sensor lacks the same range of motion as the surround view, but the surround view is cheaper, since it can reuse internal components to view more area. The surround-view sensor also provides a more accurate picture in a shorter period and reduces the number of potential errors from combining multiple different viewpoints to create a real-time image. LiDAR, or potentially a combination of LiDAR and radar, is the best option for self-driving cars. Although radar works efficiently to detect moving objects, it can’t provide the same level of accuracy as LiDAR in differentiating between inanimate and animate objects. Given the need for autonomous vehicles to predict future movements of objects they encounter, LiDAR offers a significant advantage. Unfortunately, LiDAR technology takes longer to produce and doesn’t translate well, at this point, to large-scale manufacturing operations. Autonomous vehicle manufacturers are experiencing wait times up to six months to obtain a new or replacement sensor due to the high demand. The lag time in production is due to the small number of LiDAR manufacturers — the LiDAR industry hasn’t expanded at the same rate as the self-driving car industry, which is why they are unable to meet the current demand. One potential solution to meet this demand is to include a combination of both radar and LiDAR technologies in autonomous vehicle development. The two technologies aren’t dependent on one another — RADAR uses radio waves while LIDAR relies on light. A reduction in the number of LiDAR sensors may make it easier for manufacturers to meet production requirements while vehicle developers can still meet rigorous safety regulations. The development of solid-state LiDAR technology holds promise to increase the accuracy of autonomous vehicle detection capabilities while also reducing the overall price. Even though these improvements will lower costs, self-driving cars still have a long way to go until they are affordable for the general public. Megan Ray Nichols is a freelance science writer. She can be contacted at nicholsrmegan@gmail.com. Read more of her blogs at www.schooledbyscience.com/about.